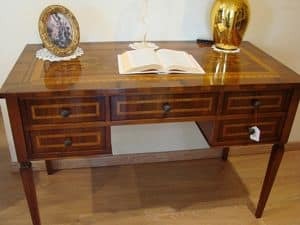 Writing desk in wood for living room. 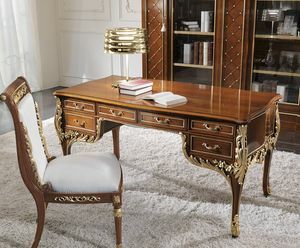 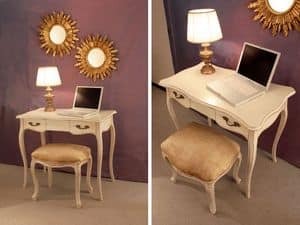 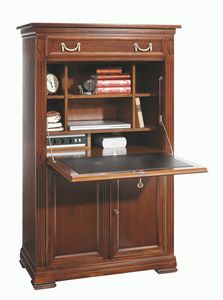 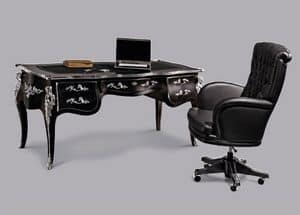 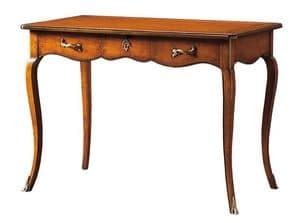 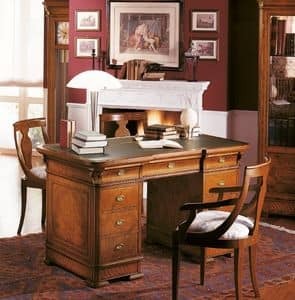 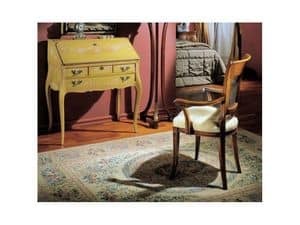 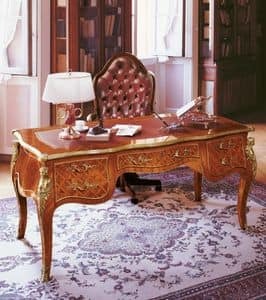 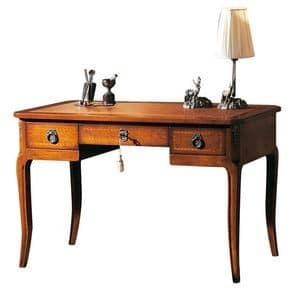 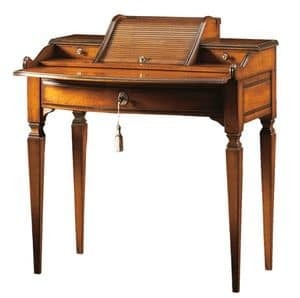 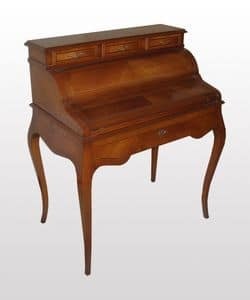 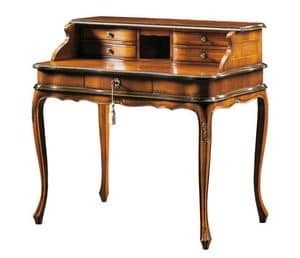 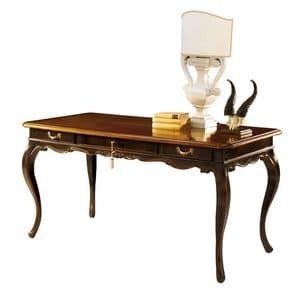 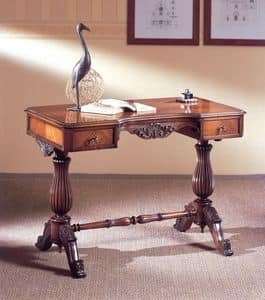 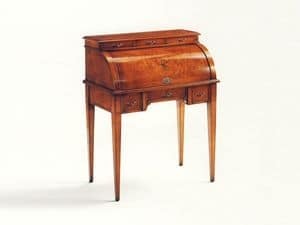 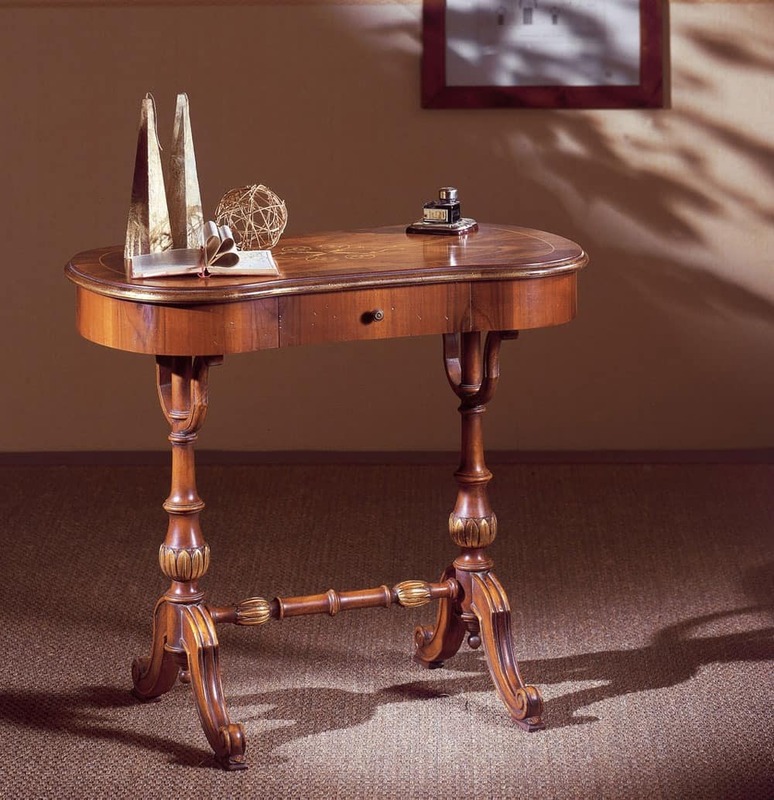 Luxury classic writing desk with one drawer. 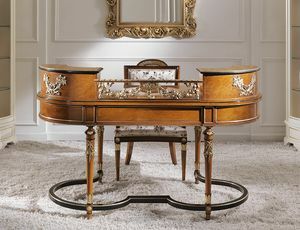 In walnut wood with gold finishes.